Surely recomend it ... Loved the hostel. Very clean, very welcome environment, beautiful location, nice staff. Definetely a great option! 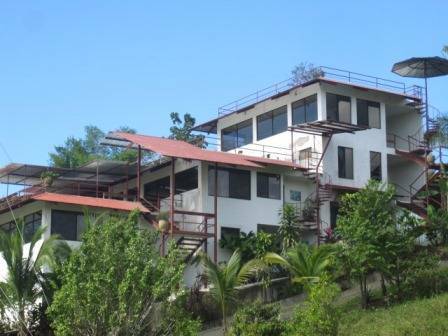 Nestled in a tranquil valley bordering a beautiful mountain ridge and surrounded by panoramic mountain views, Villas Jacquelina provides a peaceful, clean, modern, and fun option for Quepos/Manuel Antonio travelers. Guests’ at the villas love the amazing tranquility they find only minutes away from the noisy streets of Quepos. Villas Jacquelina offers a variety of both shared and private room accommodations with both private and shared bathrooms. All bathrooms have hot showers and all beds include fresh linens. Villas Jacquelina offers our guest a variety of peaceful and fun common areas with free WIFI throughout. Beautiful Costa Rican sunrises and sunsets are perfect from our spacious rooftops and our full kitchen gives guests the freedom to cook for themselves. Full laundry service is also available. Villas Jacquelina is a family-run hostel where guests often arrive as strangers and leave as friends. 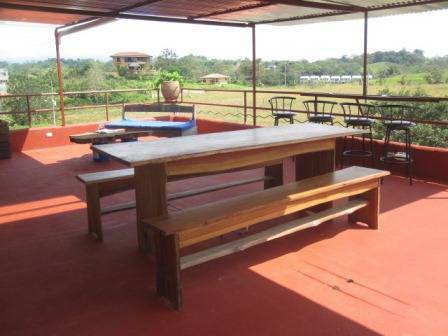 Our staff includes three young Americans, fresh out of college, and a sweet Costa Rican family who puts the guests and their hostel above all. Villas Jacquelina’s mini spa offers travelers the relaxing spa experience at literally 1/8 the cost you find at local hotels and spas. Massages, facials, manicures, and pedicures range from $10 to $30, depending on treatment and length. First time hostel guests receive a FREE manicure , pedicure, or mini massage. Rooms are clean, new, and large. Areas for luggage and clothing storage. 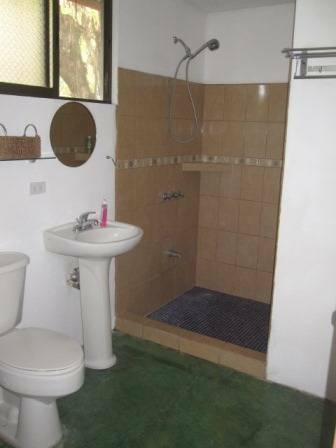 Private and shared bathrooms available. Hot running water and wifi to some rooms. All rooms have either ceiling fan or air conditioning. Locks on doors with personal keys. Villas Jaquelina is located in Quepos, Costa Rica. Within 3 minutes to the center of town which offers all shopping, restaurants, bars, and major ammenties as well as weekend open air market. The marina that facilitates boating, fishing , and all other aquatic activites is also located within walking distance from town. World famous Manuel Antonio beaches are located a mere 7km away and are easily accessible. Central bus station is a 13 min walk or 3 min cab ride away. 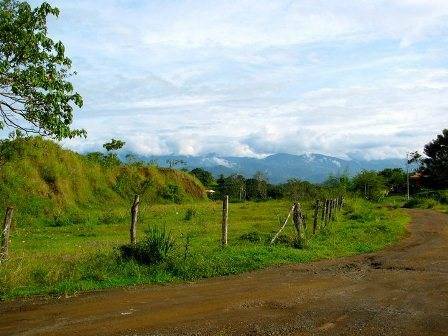 Walk 100 meters to the nearest dirt road that will be on you right. 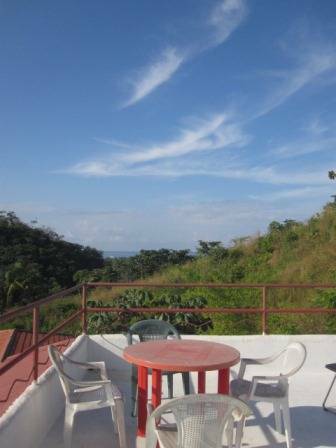 Villas Jaquelina is a 3 minute taxi ride from the center of town. We also often send a shuttle service to the bus station to pick up guests, so keep an eye out for our representatives.